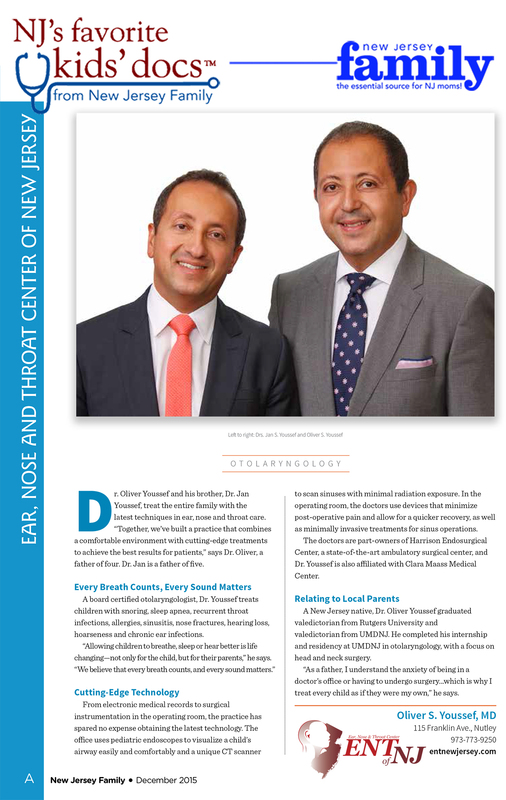 Dr. Youssef has been selected by readers of New Jersey Family as one of their Favorite Kids’ Docs. Parents of our youngest patients took time to honor our own Dr. Youssef with a nomination because they feel he is extraordinary. Many composed beautiful testimonials about the exceptional care provided to their child. We are truly honored. Congratulations!